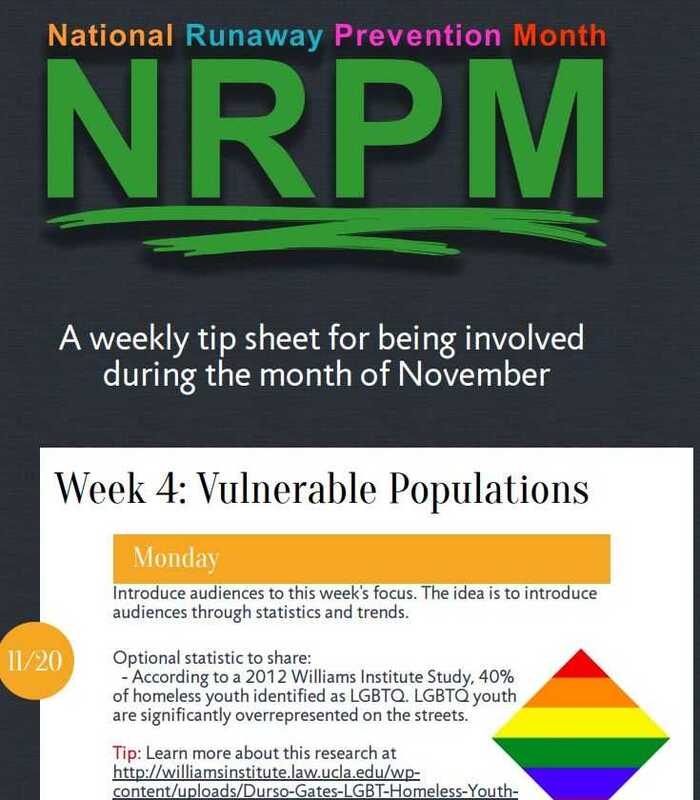 Please consider spreading the word this November, and throughout the year. 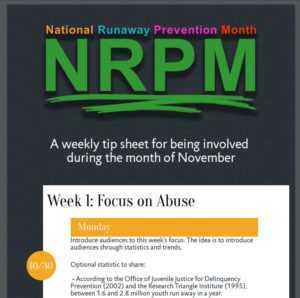 Here are all of the ways you can support National Runaway Prevention Month (NRPM) 2017. 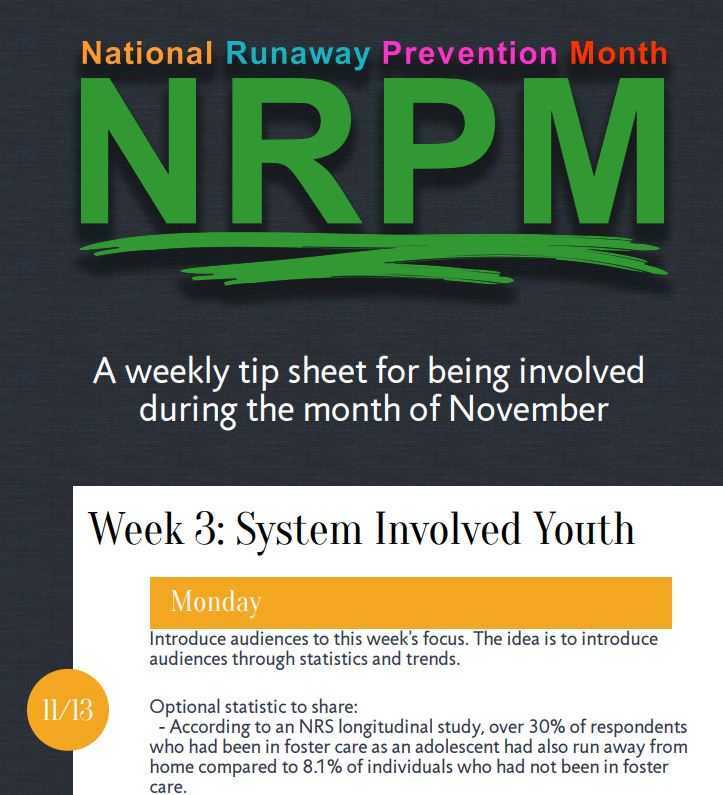 National Runaway Prevention Month is NRS’ opportunity to raise awareness and educate the public on the runaway youth crisis happening within the United States, and the role that everyone can play in preventing youth from running. In order for friends and supporters to help promote the National Runaway Safeline’s (NRS) mission, prevention specialist Lindsey Kahney has created a series of infographics, which contain tips on how to share information and knowledge on runaway and homeless youth issues. 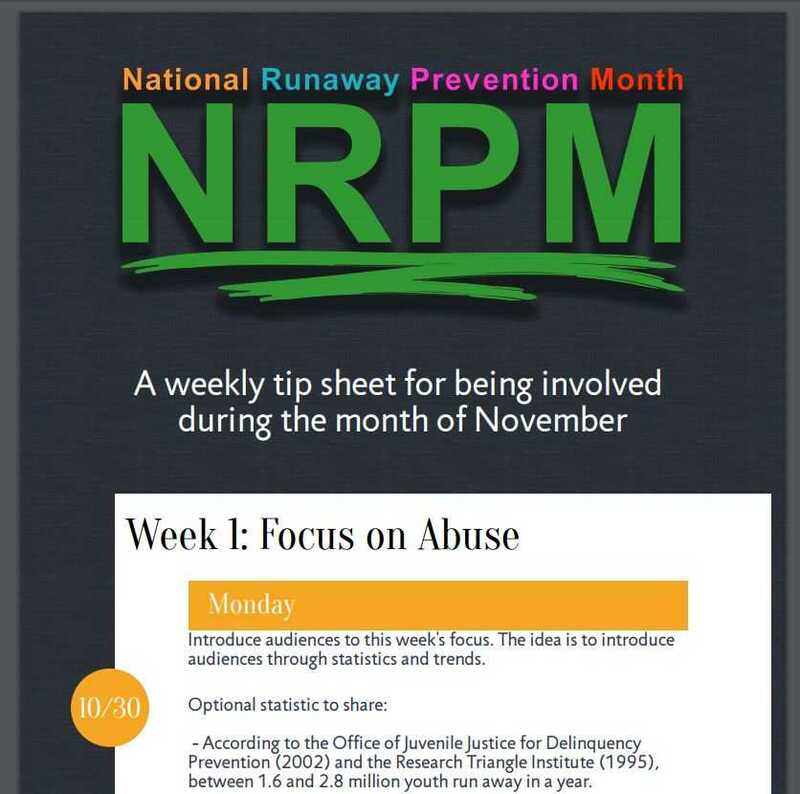 These tips and tools can be downloaded, shared on social media, or delivered via email. 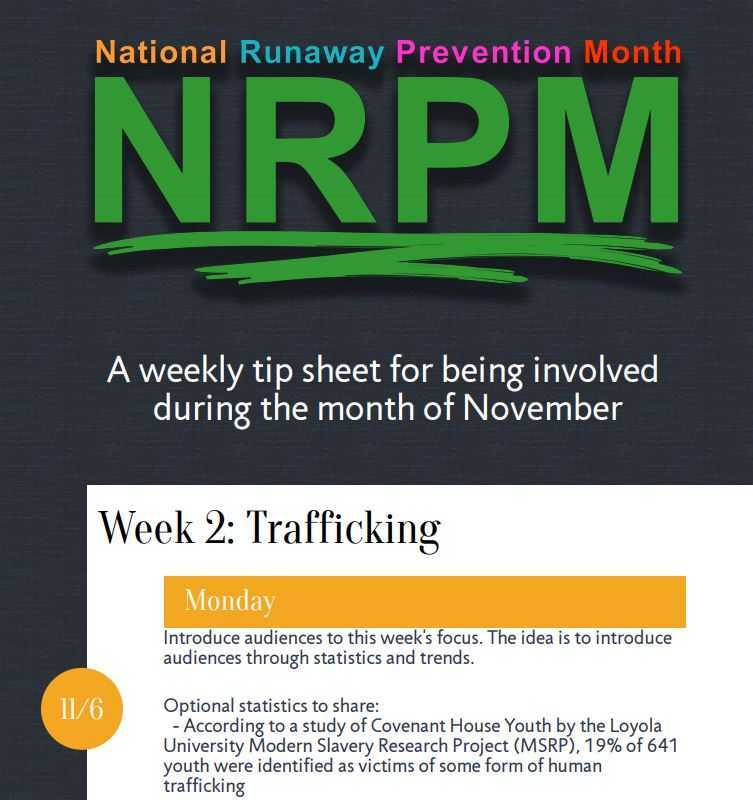 Use these suggestions all year round to help youth in need. Thank you for supporting NRPM! 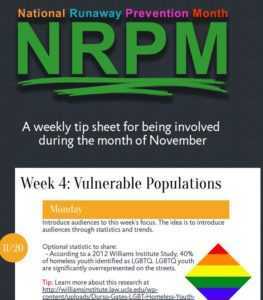 NRS encourages everyone to share information on social media platforms with the hashtag, #NRPM2017.